I agree with the comments that 9 miles is a not a short ride for somebody not in shape, but you’ll get in shape for it really fast, so you should go for it. Just get ready to be sore in funny places for a couple weeks. Buy a road bike instead, assuming you’ll be on pavement. At the very least, replace your mountain tires with something smaller, in the 30–40mm range. Mountain tires will slow you down and make you work harder. So will a heavy steel bike. Get a rack for your bike and buy panniers to haul your stuff. Wearing a backpack for 9 miles will get old fast. Whatever you do, don’t get one of those hip shoulder bags. Chiropractic disaster. Best is to get a bike with in-frame attachment points for the rack – many road bikes don't have these, so make sure to check before buying. Get the bike and do weekend rides to get fit before using it for work. I've cycled 15km (or 9.3 miles) to work for over 2 years. You'll get used to it very fast. I can reiterate what @tim.farkas is saying about that wearing a backpack will get old fast. I've bolted a big plastik box onto my bike rack to put my backpack in. It was very relieving to cycle without anything on your back. Take your time in the beginning and cycle at a pace you feel comfortable with. It's not a race. I'm well trained now and on average I need about 45 minutes one way. Plan more time than that. If the distance is still too much, there might be tricks to take it easier in the beginning. Where I live I could take my bike with me in the train in the morning, and cycle back in the evening. A friend of mine is cycling the same way with an electric bike. He bought it because he wanted to arrive sweat free for work. One more advice that is off-topic: The longer you cycle, you will someday get a flat tire on your way. That's why I always carry tools and a spare tube. Biking is an easy activity to throttle. Start slow and take breaks along the way if necessary. Also take days off when you feel fatigued or sore. Make sure you hydrate. Consider an electric bike. My situation was similar, 15km is just about 9 miles and while I'm not a "big fat slob" I'm not super-fit either. I could do it on a moderate quality touring bike in 45 minutes but I got to work soaked in sweat. Taking a (dare I mention it) cigarette-pause around kilometer 10, and cycling gently, I took 55 minutes but didn't offend my co-workers. I bought an e-bike and did it in 40 minutes. My e-bike had about 100% boost (for every joule I gave, it added one joule) so I got a reasonable amount of exercise. In summer I managed out-and-back on one charge, in winter the batteries are less efficient so I took a charger with me. This was 6+ years ago, batteries are probably better now. I had the good fortune that my route was through wood- and farmland, and I enjoyed it a lot. I been making 5 miles from home to work for a year and this are a few advices by myself. Try to make a first ride of recognition when you don't have to worry about time, maybe the weekend. In this ride you have to pay attention to bumps, holes, car's crosses and transit signals in the road and if there is places for fix your bike in case of something happens. Ride 15 to 30 mins early the first times until you get used to. Define your route and if you have multiple choices, categorize them (I have one when I'm late and another with a beatiful landscape). Don't use your clothes of work to ride, instead use a shirt for sweat and get dirty, and in a bag put you work's clothes, the first times you're gonna sweat like a pig. Always bring with you deodorant or a perfume if you can't shower in the workplace. 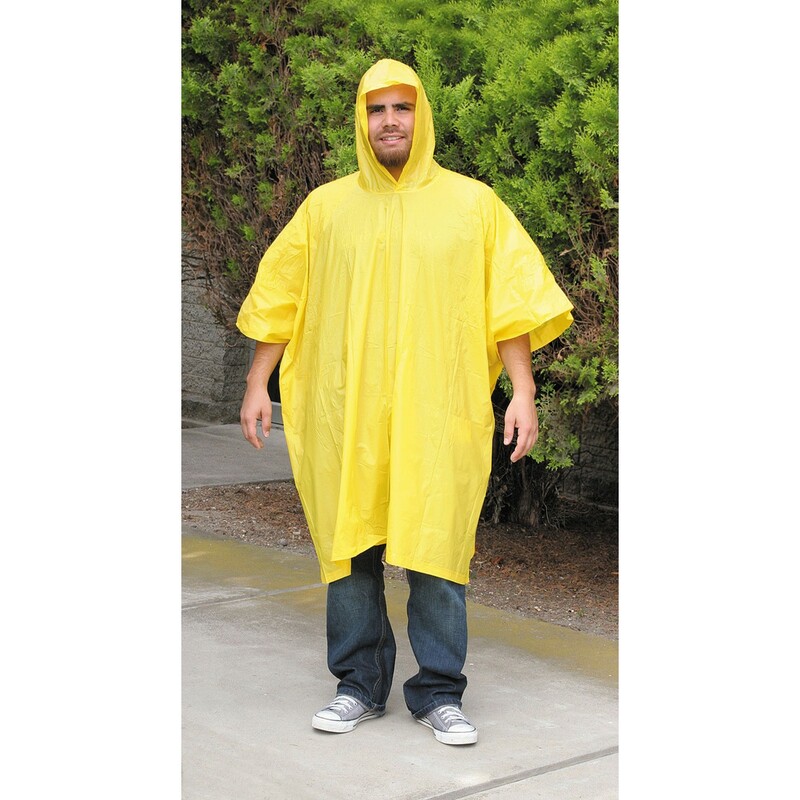 Bring with you a rain slicker like this , but don't use this because in this you're gonna sweat the double!!. If you're going to ride in night or even late afternoon, equip your bike with lights. 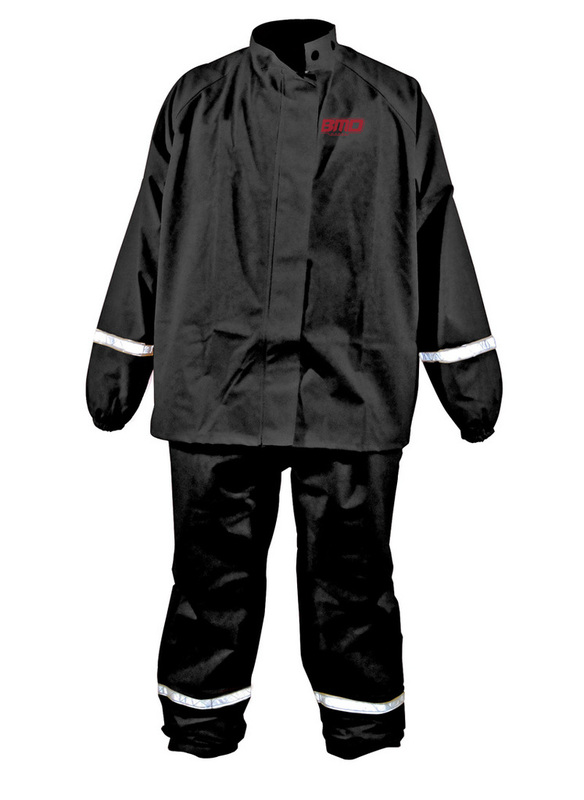 Use this for you pants, you dont want to get dirty of grease at work. (Optional) Use a scarf and glasses, sometimes the air make your throat and eyes sick. 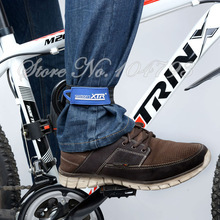 Always be sure you have attach you bag firmly to your bike because when you're riding this can fall and you can lose it (if you doesn't notice). If you carry on yourself your backpack for 9 miles that is gonna make you sweat more. Don't bike without a minimal cash (for incidentals). First of all I'd like to congratulate you, you've already done perhaps the hardest part, deciding to cycle to work. Its going to be tough, but I'm sure you can manage, and its well worth it. I'm going to go through some concerns that others haven't brought up. You will want to get the fastest bike you can get. You want a road bike or a cyclocross bike. Don't think about the extra resistance as helping your fitness. If you are riding an appreciable amount on the road, you want the extra speed to stay safe (cars have little patience for a slow and bouncy Full Suspension bike). Have someone teach you to change an inner tube with you. You WILL get punctures, and nothing will ruin you day like being stuck half way between work and home with a puncture you can't fix. Map out and learn your route before you go. If you are in London, TFL have some great maps which rate each road on bike friendliness. Try cycle each leg of your route before hand, you may find that some roads turn out to be impossible to ride (at least at your level). Hi Vis. Get some. They look COOL. Safety first! "9 miles, reasonably flat" is not quite enough to divine how difficult it might be to negotiate the way from home to work (and back). Traffic, and safety in general, is another concern, especially if biking is not in your blood. Quality of the road also matters -- smooth tarmac, for example, is much easier than dust or gravel. One trouble with biking to work is that you're not free to make many choices (as opposed to a Sunday afternoon trip). If you're not dependent on biking as a means of transport, you can decide each morning whether to go or give it a miss. You're not free to make the same choice in the evening (unless you can leave the bike at workplace overnight). You do not choose the weather. You do not choose the timing. You do not choose where you go. However, biking to work is a great way to start the day and purge your head a bit. It's definitely worth trying and persevering. Take as much rest as you can when not on bike (lots of sleep). Go every day if feeling fine, go every other day if too tired. Borrow a bike if you just want to try it. Keep safe, and good luck. Is it there 9 miles and back 9 miles? Or is it 4.5 miles there and 4.5 miles back? The 4.5 miles won't be difficult. But the 9 miles, like the other posts say, might feel much in the beginning. But you will indeed get in good shape pretty fast if you do it consistently every day. About the backpack topic, I disagree with the other posts. If you have a good backpack with a curved back, it won't be a problem. I've got this backpack and use it on my 12 km (=7.5 miles) ride to work for 2 years now and it's an absolute delight. The "air comfort" system makes you sweat a lot less than a normal backpack (it's still a bit sweaty, but it's acceptable even on hot days), and the curved back makes it sit perfectly, so you barely notice it. Panniers will changes the way your bike behaves: the balance and the mobility will be different. And if you enjoy the way your MTB rides, like me, you won't like it as much with panniers. But these things are of course personal taste. Not the answer you're looking for? Browse other questions tagged mountain-bike commuter fitness beginner or ask your own question.